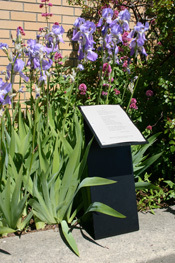 Mark your calendar for the first Sunday of the month at 5:00pm, as a series of summer sidewalk readings present the voices of Bellingham poets. If you show up at 1507 Larrabee, in Fairhaven, look for the book box and that’s where the the readings will be held. In what is now a legendary commitment to poetry, Christopher Jarmick, poet and owner of BookTree in Kirkland, Washington, is scheduling monthly workshop/reading/open mic sessions that are free and lively. For National Poetry Month, the featured poets will be Anita K. Boyle and James Bertolino. 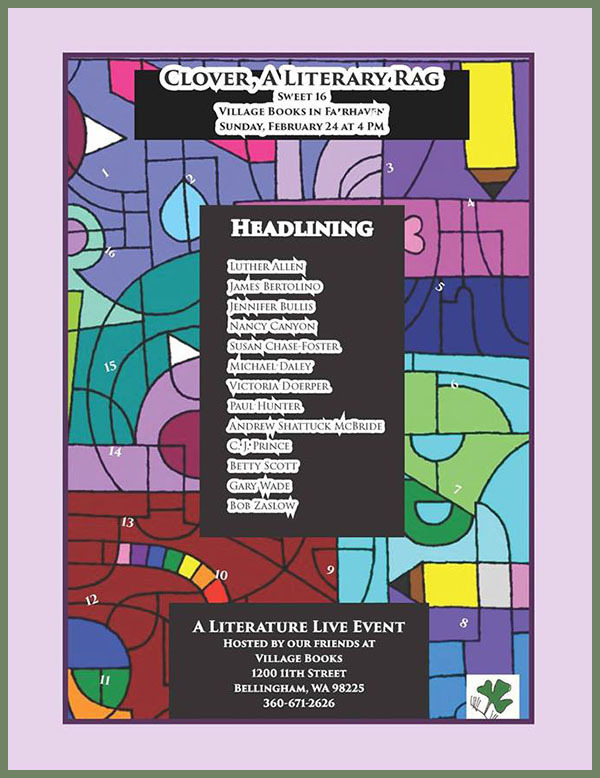 The program, on Saturday, April 21, 2018, will begin at 4:30pm with a workshop on Collaboration (Boyle and Bertolino have collaborated on a number of chapbooks, among other projects), to be followed at 6:15pm by a reading and open mic. See further details and poet bios on the BookTree event page and on Facebook. Today, Wednesday, March 21, 2018, is World Poetry Day. Among the many ways to celebrate, consider joining friends, neighbors, musicians, and poets at Greene’s Corner in Bellingham, Washington. The every-Wednesday gathering of music and poetry will this evening feature poets Jim Bertolino and Anita K. Boyle. A Musician’s Open Mic begins at 7:00pm with the music of JP Falcon Grady, poetry to follow.